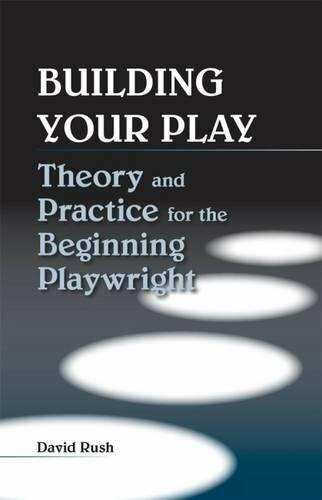 Author Rush, a college playwrighting teacher and the author of several produced plays, has created a masterful textbook for playwrights. He gives the basics of the craft in clear, simple language. He is teacherly in his tone, but he never condescends. Building Your Play provides step-by-step instructions in the readable and useful way we all wish the manuals for installing new software or putting together new lawnmowers would do. The subtitle refers to beginning playwrights, but the book would be a valuable addition to the library of anyone who sets out to write a play—even for those who have done it before. The book’s glossary is a good tool both for understanding the lessons and for understanding the craft. The author dissects texts, from familiar nursery rhymes to well-known plays, without ever losing our attention or his own enthusiasm. A major point in Rush’s system is the search for the “Agent of Action.” The agent of action is not always the same as the central character, as we learn by looking at the children’s rhyme “Humpty Dumpty” and Shakespeare’s play Othello. Humpty didn’t do anything but fall; it was the king’s horses and men who did all the work. Othello was simply swept along by a plot set in motion by agent of action, Iago. The book’s view of script analysis makes it a worthwhile reference for student actors as well as for student playwrights.